Be a part of a budding downtown Wichita! When you live downtown, the best of Wichita is right in your own neighborhood. Eat the tastiest food, attend the biggest events and shop at the most unique boutiques. Walk, ride your bike, hop on the Q-Line Trolley or take the Wichita Transit to get wherever you need to go..
With the best nightlife in the city, Old Town is packed with entertainment. 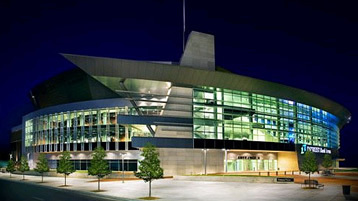 The INTRUST Bank Arena, home of the largest live music and sporting events around, is right up the street. Experience what Wichita has to offer. Join the movement downtown.